As an instructor, you may be added to a group within your institution. Groups files include any content uploaded to your group workspace. Group files include uploaded assignment submissions, files for projects, and other group-related items. By default, each group has 50 MB of storage space in Canvas. Administrators can change the quota for the entire institution or on a group-by-group basis. Group files are automatically published when they are uploaded to the group. 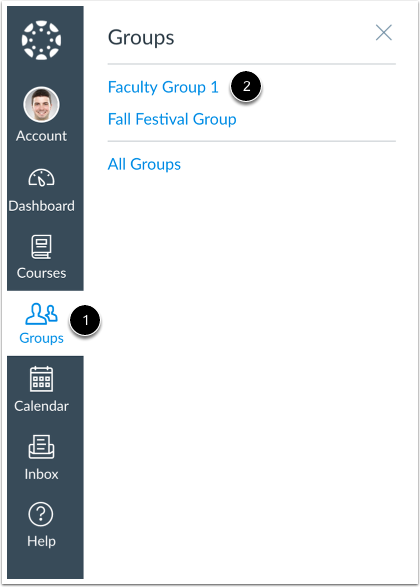 As groups are essentially mini courses, all group members have the same permissions to moderate files, including uploading files, publishing files, restricting access, and deleting files. In Groups Navigation, click the Files link. All files can be viewed by all group members . Please note that all group members hold the same permissions, so one group member can delete or move files uploaded by another group member. Group files are published by default. You can view the quota for your group and what percentage of that quota has been used . Files that have been submitted as group assignments do not apply to the group quota. If you want to see the Files for all your groups, click the All My Files link . 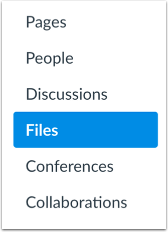 Canvas will display your User Files page with all group folders displayed below your user files. Learn more about how to use Files as an instructor. Previous Topic:How do I view course files as an instructor? Next Topic:How do I use Files as an instructor? Table of Contents > Files > How do I view group files as an instructor?